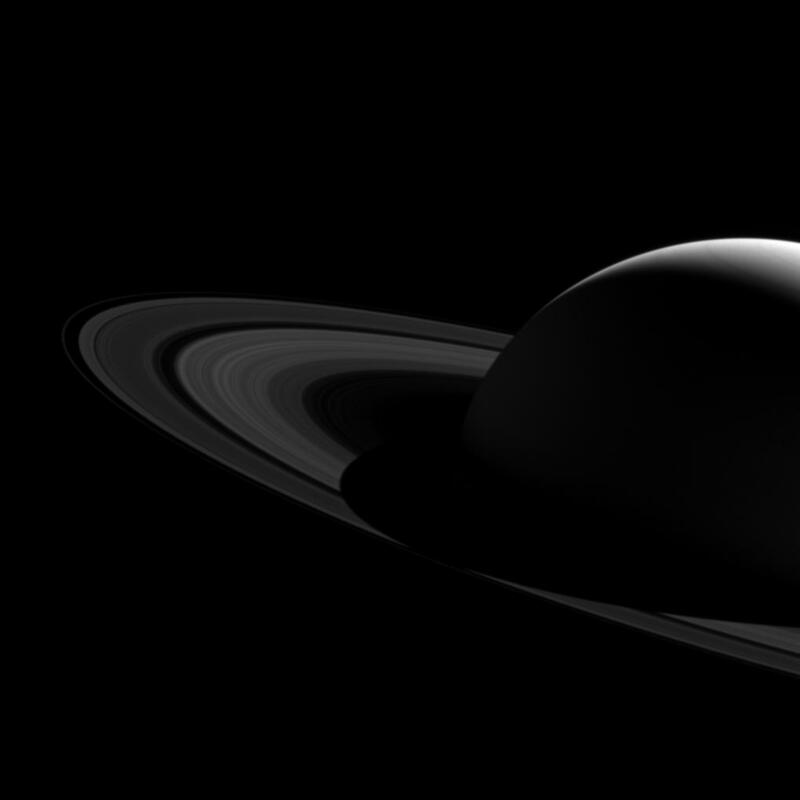 Saturn's shadow stretched beyond the edge of its rings for many years after Cassini first arrived at Saturn, casting an ever-lengthening shadow that reached its maximum extent at the planet's 2009 equinox. This image captured the moment in 2015 when the shrinking shadow just barely reached across the entire main ring system. The shadow will continue to shrink until the planet's northern summer solstice, at which point it will once again start lengthening across the rings, reaching across them in 2019.